This is going to mean big changes. Will it really work out? If it’s so wonderful, why isn’t everybody doing it? Schools and teaching are big business—what makes me think I can do a great job of replacing that? This is the timeless, internal struggle between the comfort of the known path (i.e. extrapolating today’s relative contentment into the future) and the imagined rewards beckoning from the unknown path. It can be so tempting to stay wrapped in the warm blanket of our established and familiar lives. To venture beyond that means opening ourselves up to the chill of fear and vulnerability found in not knowing. Will the changes brought about by the journey be for the better in the end? These questions are good. Don’t try to ignore them, turning up the excitement volume to drown them out. By exploring the questions that arise, we can find that clear purpose and deep resolve that will help us on our journey. We need to find our courage, so we can move forward alongside our fear. When you’re feeling frazzled by the enormity of the journey you’re considering, be careful not to berate yourself. Instead, breathe. Take stock. The vast majority of things needn’t be resolved in this moment. 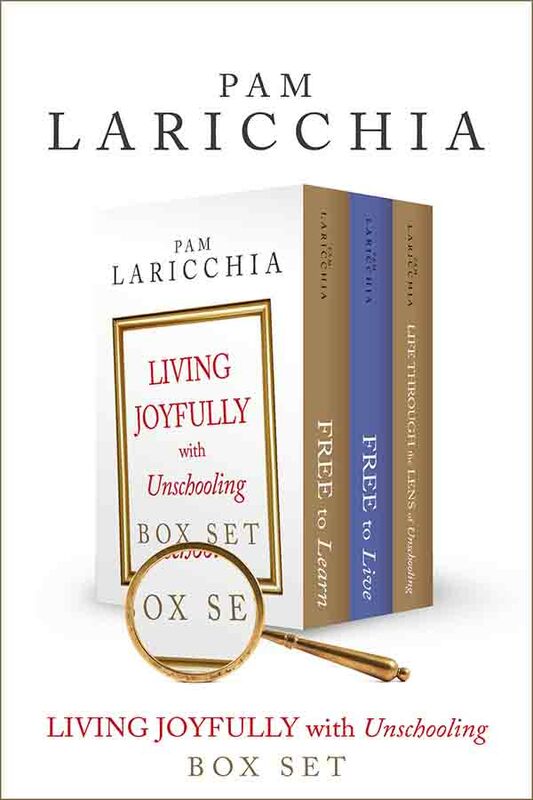 Find joy. Even better, find joy with your children. Play. Start fresh—when you’re feeling fresh. 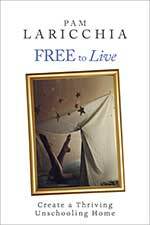 And remember, refusal of the call can be a valid choice, “for it is always possible to turn the ear to other interests.” (p. 49) I know I’ve encountered that situation a number of times: first introduced to something, I get curious and excited to dive in and learn more; yet upon reflection, I decide it’s not for me. At least right now. You need to have—or make—the time to commit to a journey, and strong reasons to get started. For example, if I’d heard of homeschooling before I had kids, I don’t think I would have immediately embarked on my unschooling journey. It would have been an interesting philosophical exercise, but I had other, more immediate interests to follow. It turns out I already had school age kids when I encountered it, and the enthusiasm generated by the call to our unschooling adventure was so powerful that after only a few weeks of consideration we chose to dive in. Of course, our paths can vary widely. I’m sure others may find the sociological and educational aspects interesting, even without kids. 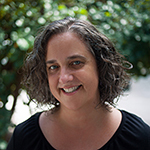 For example, the young adults in graduate school who are behind some of the home and unschooling research surveys that cross my path. They’re looking for unschooling “rules” to follow, rather than doing the work to understand the principles deeply enough to evaluate and chose their own actions. We sometime cling to rules because they are familiar. When the things we’re doing feel risky, rules can bring a measure of comfort; signposts we can rely on to keep us on the path as we journey into the unknown. So using what they interpret as “the rules,” they imitate the unschooling actions they’ve heard about. 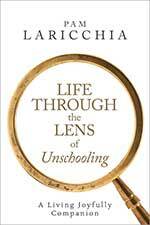 And life might look like unschooling for a while, but then what’s likely to happen? Can you envision the chaos? As issues arise, they pull out the hammer of those “unschooling rules.” But children are unique individuals, with their own personalities, experiences, and goals. What works for one family, one child, may not work well for others. Without a solid understanding of the principles of unschooling and how they can be used (a full toolkit), they’ll be stuck using that hammer, again and again, and wondering why that reward is looking further and further out of reach. A lot of work and experience has gone into an experienced unschooling parent’s ability to make it look easy. Easy enough that sometimes others think all they need to do is imitate the resulting actions, and they’re doing it. If you really want the reward, take the journey. Don’t look for a shortcut. That doesn’t mean you need to understand everything about unschooling before you get started: we learn so much by doing. 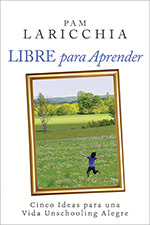 Starting unschooling with your family is the beginning of the journey—the departure in Campbell’s language—not the end. Will you refuse the call or choose to commit to the journey? 1. 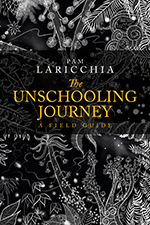 Did you refuse the call one or more times before deciding to embark on your unschooling journey? 2. As you were first getting underway, what did you imagine the journey would look like? 3. 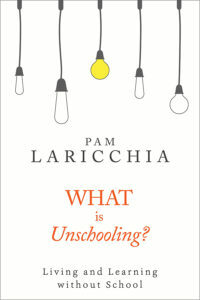 Did you start out looking for the “rules” of unschooling? 4. What clear purpose gave you the courage to commit to your unschooling journey? Ha ha! You’re talking about my life, right? I did start unschooling once, only to give up after about six months because of a myriad of reasons. The biggest was my fear of not being able to comply with the homeschool laws, but another really important reason was that I was, indeed, looking for hard and fast rules which don’t always come so easily. ( I’m still guilty of this at times.) I was doing a lot of reading of other unschooling blogs, magazines, and books. Unfortunately, a lot of these resources only give anecdotes about those extremely exceptional unschoolers. You know the type- the ones who teach themselves to read at three, start their own business at nine, and by twelve are taking college courses to learn their ninth foreign language. They don’t tell you about the “lazy” periods, which I know now (thanks to you and Idzie) are so important in the thinking process. They don’t tell you that sometimes your child may just sit there for hours petting the cat, and that it’s okay! Or that your child may prefer baking cakes to learning the periodic table of elements, and that’s okay, too! So, inevitably, the trust that I was trying to build was overshadowed with fears that my kids were a bunch of slackers because they didn’t immediately jump in and start looking for a cure for cancer. I would follow them around the house repeatedly telling them to find something “productive” to do, and we all eventually lost our excitement about this new way to learn because of my anxiety and tendency to compare. So we gave up and returned to relaxed homeschooling, which slowly became more and more relaxed as time went on. Eventually I found Idzie’s blog and this one (incidentally, from a link on Idzie’s) and completely immersed myself in the two. It was so refreshing to read that normal, everyday learning is just as important, probably more so, because if it’s something my child initiates, then it has meaning for them, which is what we all want, isn’t it? So thank you for giving me the insight into what it’s really all about. Real lives and real learning, not fairy tales. That’s what gave me the courage to unschool again. It can be tempting to focus on sharing the active learning moments, because, well, that’s where the action seems to be. But there’s definitely important learning in *all* the moments—in the quiet times, it’s just harder to see, and to describe. And, in my experience, it’s all impressive stuff when, as you say, it has meaning for them. When *we* shift away from looking at “success” through a conventional lens, we see a much bigger picture. Wow! I really love your emails and posts. I guess I’m not so much refusing the ‘call’ right now as I am trying not to insult the helpful people at my daughter’s high school. Grade 9 is such a painful experience for Margaret that I feel I am sending her into a torture chamber every time she leaves to catch the bus. All of her teachers and guidance counsellors are genuinely trying to make things easier but I know the answer. Take her out and unschool. She is always so happy in the summer when she can learn on her own and she is such a natural self educator…as all children are…but she is just so productive. 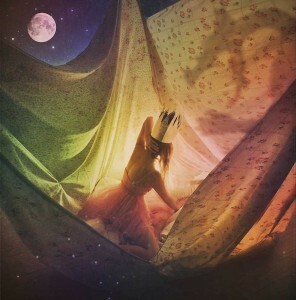 As soon as she hits school, all this magic disappears and she struggles with curriculum, tests, and not fitting in. My biggest fear right now is judgement from family and of course the staff at the high school. Doesn’t help that both of my parents were public school teachers. I feel like I’m offending so many people. Did anybody ever feel like this? It sounds ridiculous to me but never the less true. The helpful people you’ve been working with at her school have your daughter’s best interest at heart. They know things aren’t working well. If you approach the situation with the perspective and attitude that “school isn’t working well for her and we’re going to try this for now and see how it goes” (rather than “you guys are so bad at teaching her that I’m going to do it instead”), I think most will wish you the best. Same for family (I have a SIL who recently retired as a special ed teacher and two of three nieces on that side who are also teachers). I don’t diss the school system, certainly not in front of them. I keep the focus on my children as individuals and what’s working for them. I felt SO MUCH this way. Moving 1200 miles away helped me a ton. It’s lonelier but we needed a judgment-free zone to do what I knew helped our kids & family most. It was too hard to be where everyone knew me/us & decide to be so unconventional. I even had three friends hold an intervention in which they (all moms who spent $60,000 per year on private school tuition, which was $25K more than we MADE AT WORK in a year) told me a) I wasn’t allowed to move to TX & b) shouldn’t be homeschooling my kids. It made me more assured that moving & homeschooling were best for us & that I didn’t have to defend myself anymore, nor could I.
I like when you said “They’re looking for unschooling “rules” to follow, rather than doing the work to understand the principles deeply enough to evaluate and chose their own actions.” I have been trying to unschool since September of this year. It actually started out as “loose” homeschooling. Both my children picked what they wanted to study and we found books and unit studies, did some math and history,and it went fine, but it wasn’t what everyone really wanted. I found myself not wanting to do “school” everyday. 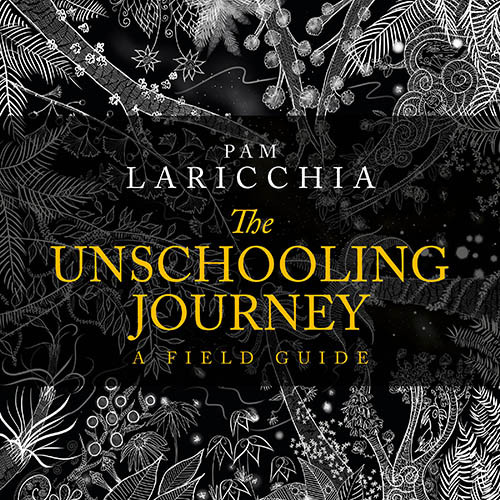 I have read some many books, blogs, posts on unschooling, trying to educate myself about it, but I just can’t seem to get there. Maybe I do not fully understand the principles deeply enough like you said in your blog, I think I want some rules to follow. I feel like without some form of schedule or topics to study, then we do nothing all day. When we don’t do “school” my kids just play or ask to watch tv. There seems to be little desire to learn, especially from my 9yr old. This stresses me out. I don’t know how exactly to move forward…all the books say your kids will just start learning….I’m not seeing that yet. Your blog is very helpful. Thank you for the insight. From what you’ve written, here are a couple of observations that might help you keep moving forward. When we don’t do “school” my kids just play or ask to watch tv. There seems to be little desire to learn, especially from my 9yr old. I think you’re still looking for learning to look like “school” learning. But with unschooling, it won’t look like that—the learning is in the living. In the playing. I don’t know how exactly to move forward…all the books say your kids will just start learning….I’m not seeing that yet. I love that you phrased it this way, that you’re “not seeing it yet.” It’s not that the learning isn’t happening, but that you’re not recognizing it yet. It’s a huge paradigm shift, to see the learning in the everyday things they choose to do. I wrote about this shift on the blog a few months ago, in case you haven’t come across the posts: seeing the learning in all their activities and seeing learning in the quiet moments. I too struggle with wanting to unschool but being too afraid. Little by little I am seeing all that my kids are learning by watching all these Nova documentaries & Alton Brown cooking shows (hello, Science!) & even rich vocabulary they are picking up from Turbo, a cartoon about a fast snail. I still take them to a math class & have a very short amount of stuff (www.timeforlearning.com) for them to do before video games, but mainly because they are stressed about falling behind… & because the twins say they want to go to high school for the sports/social & don’t want to feel behind. I never hound them about their work & if they whine, I usually say, “Then don’t do it!” But they are slowly becoming self motivated. If it helps any, some of us are just “doing it afraid” so to speak. 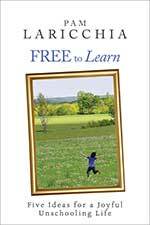 Good point, Barbra, I think many of us we’re quite unsettled and a bit scared when we started unschooling. It’s so unconventional, and unless we’ve seen unschooling in action in families we know in person, we are taking a leap of faith at first.